New Craftsy Class ~ My First Toe-Up Socks! 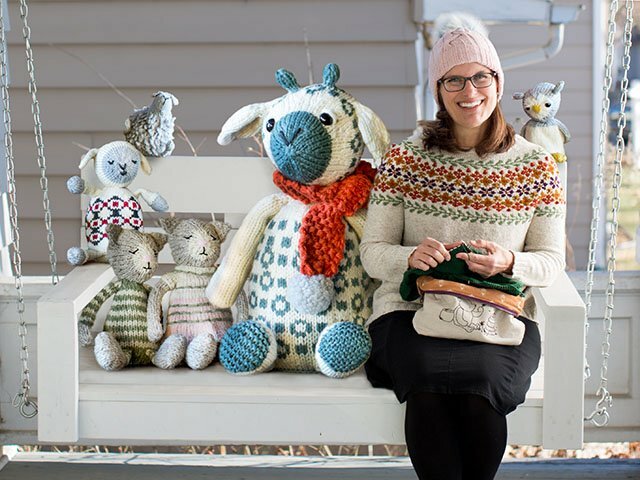 First, the giveaway for my new Craftsy sock class is over, the winner was selected by Craftsy and I have contacted the winner via email with the link to receive the class! 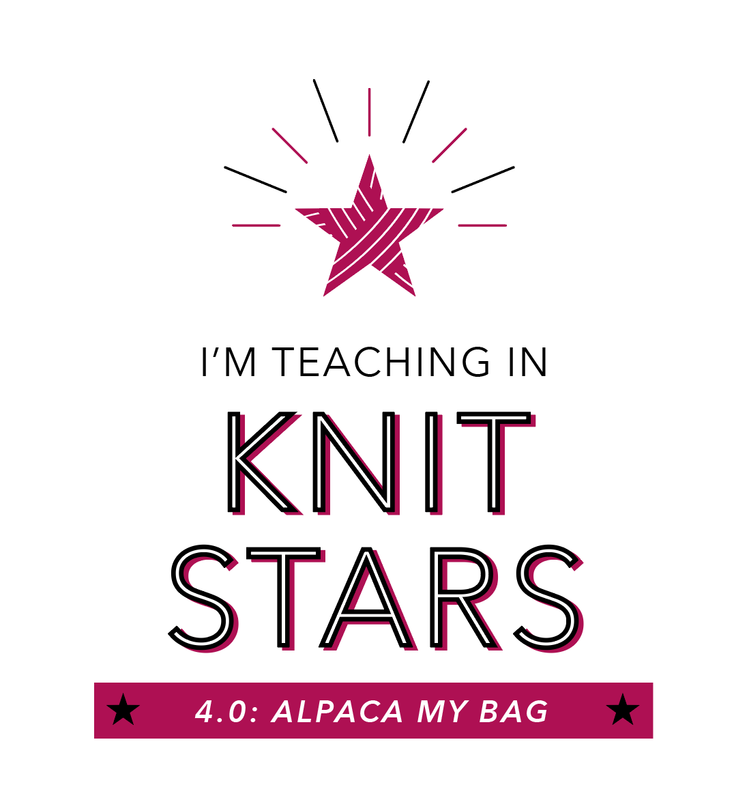 Thanks to Craftsy for the class. 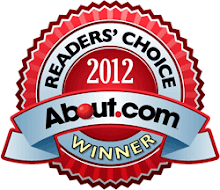 In one day we had close to 800 entries to win so that was remarkable. 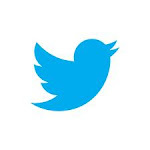 Thank you for the interest. Today is an exciting day. 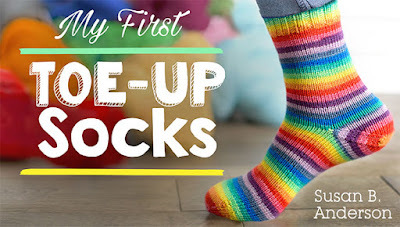 I have a brand new Craftsy class has launched, My First Toe-Up Socks! It's really here! 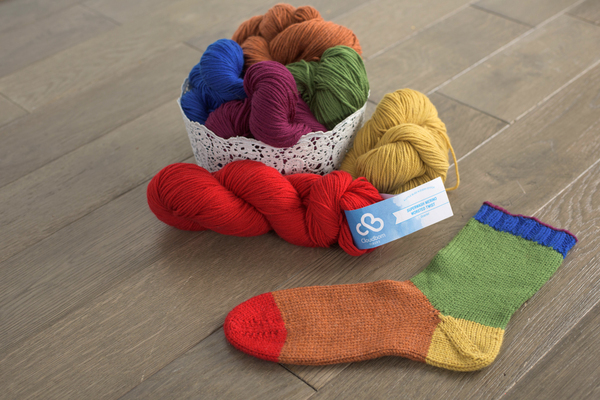 Click here to purchase My First Toe-Up Socks at 50% off or to find out more information! You can watch the class video trailer here, too! 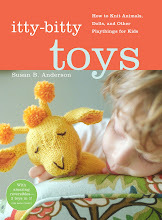 Click here for the My First Toe-Up Socks Kit from Craftsy at 20% off! 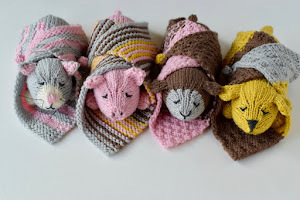 All of the links to the class are provided to me by Craftsy and they are affiliate links. 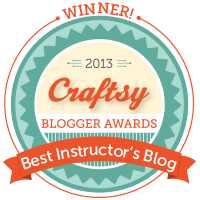 I get a small credit when you go through the links provided on my blog for Craftsy. 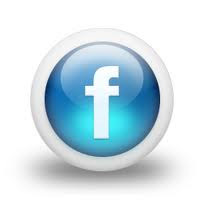 Thank you if you click through here. I appreciate it. 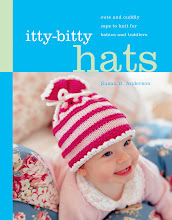 I am so excited to be back with Craftsy once again. 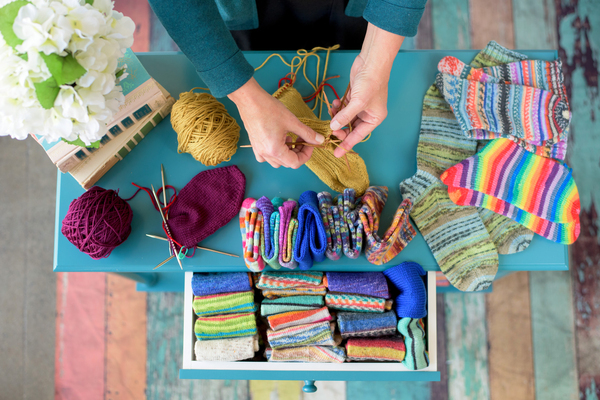 The toe-up sock class was a pleasure to prepare and a pleasure to film. It was hard and thorough work but I loved it. 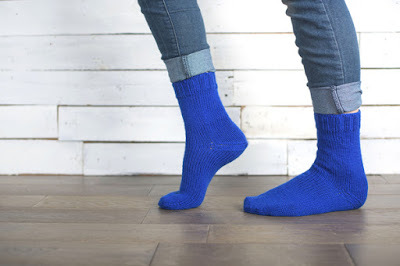 I researched and experimented and knit numerous toe-up sock using different techniques until I decided on the final version of the sock I would teach for the class. It was fun and exhilarating to dive into one subject so wholeheartedly. I really enjoyed the entire process. 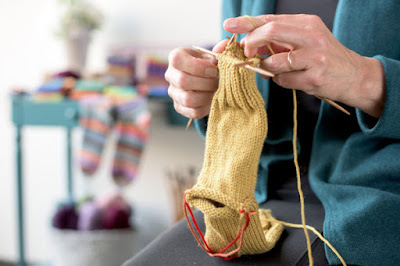 I am usually a cuff-down sock knitter so for me to switch directions of the sock construction and think about a "first-time" toe-up sock knitter was pretty easy for me. 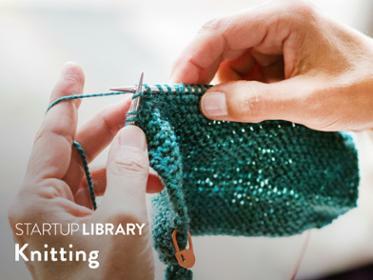 My goal for this class was to gather and to teach the simplest and most effective techniques, in my opinion, for knitting toe-up socks. I think it worked out well. 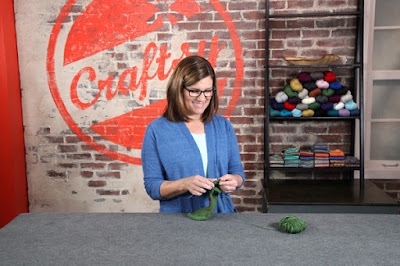 The rainbow yarn in the title card is from Quaere Fibre. 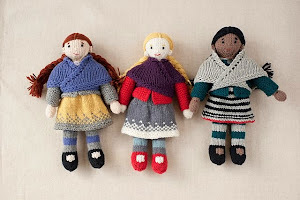 A skill prerequisite for the class is that the knitter has a general knowledge of the knit and purl stitches and is comfortable working in the round on either Magic Loop or on double-pointed needles. This is important! I go over these methods of working in the round but I am assuming the student already has a prior grasp on the concepts. Six detailed lessons are provided. 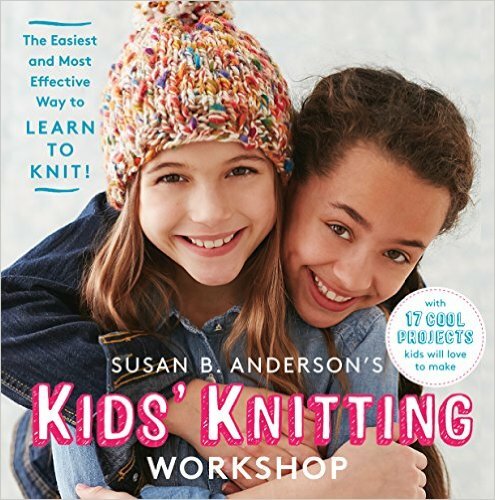 The pace is comfortable and informative, intended for true first-timers, but it is chock-full of information for experienced knitters as well. 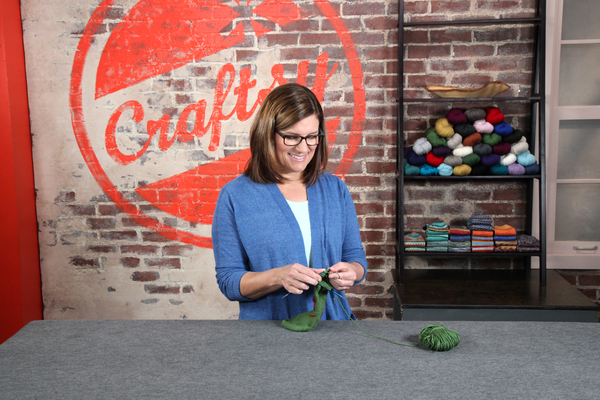 I had a great time filming at Craftsy. It has changed so much since I was there in 2011. The company is at a new building with at least 5 studios filming at the same time. The building is fun and bubbling with creativity. When I filmed five years ago the small studio was about 100 degrees due to the burning hot lights. This time the temperature was so comfortable. 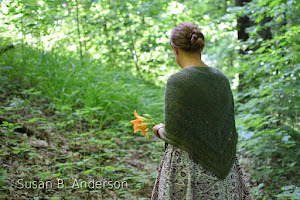 I dressed thinking it was going to be so hot under the lights but it turns out I could have worn my handknits. If there is a next time I will dress for the more comfortable temps. Here are some photos from the class! 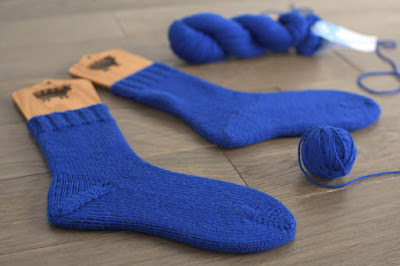 I knit the worsted weight sample socks in the Craftsy yarn, Cloudborn. It's a superwash merino. 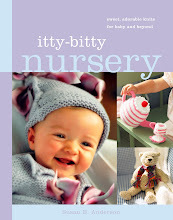 I believe Craftsy has kits available for the class. 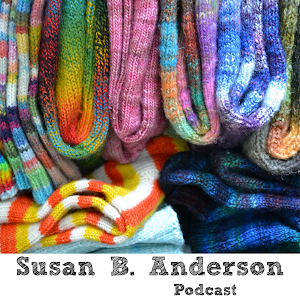 The sock above was knit in different colors to show the parts of the sock, a sock map! I refer to the sock map sock throughout the class. I hope you enjoy the new class and maybe the old classes, too! Let me know if you decide to partake. Click here for 50% off My First Time Toe-Up Socks!